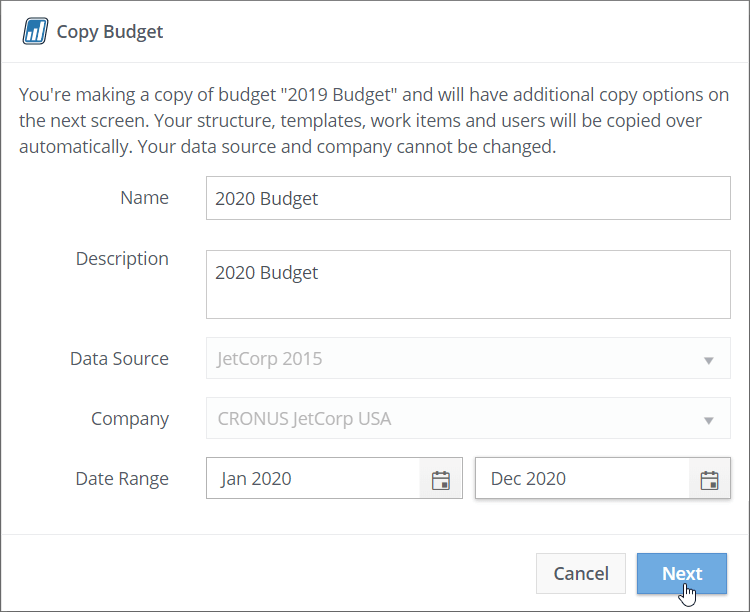 Jet Budgets provides the ability to create a new budget by copying an existing budget - including its underlying Work Items (optional) and Dimensions - with the ability to add new dimensions, if desired. 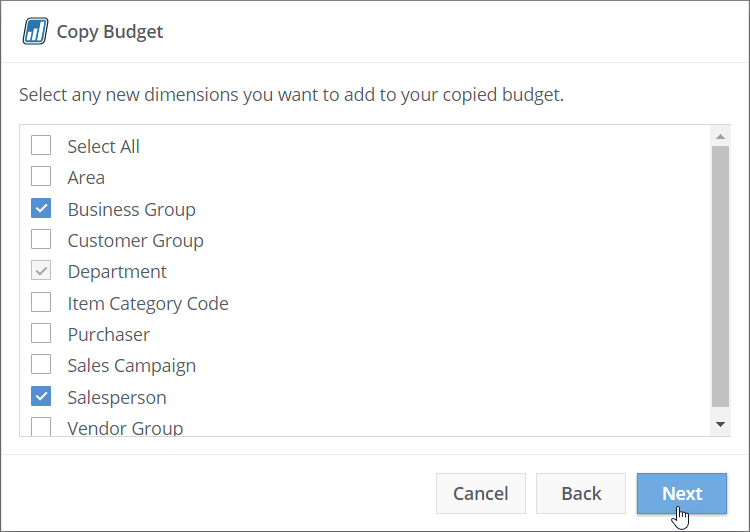 Your new budget will automatically include the same dimensions as were used in the original budget. You have the option to add additional dimensions, if they are present in the underlying database. In this example, the Department dimension was brought over from the original budget. 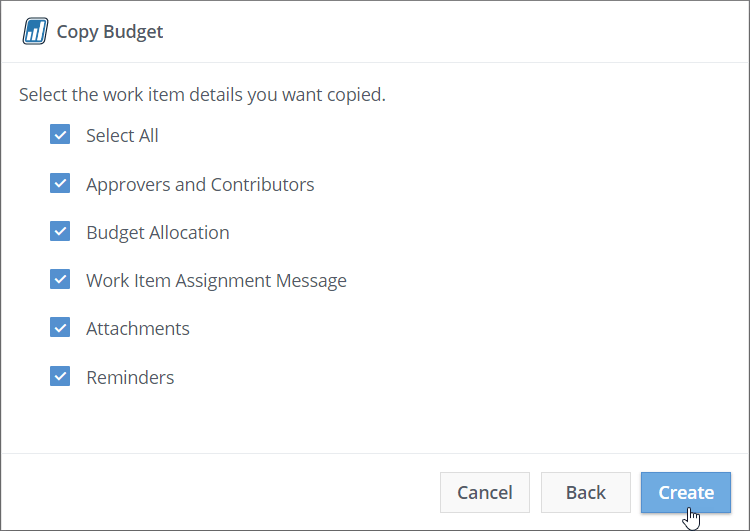 Finally, you have the option to include any of the Work Item details that were utilized in the original budget.